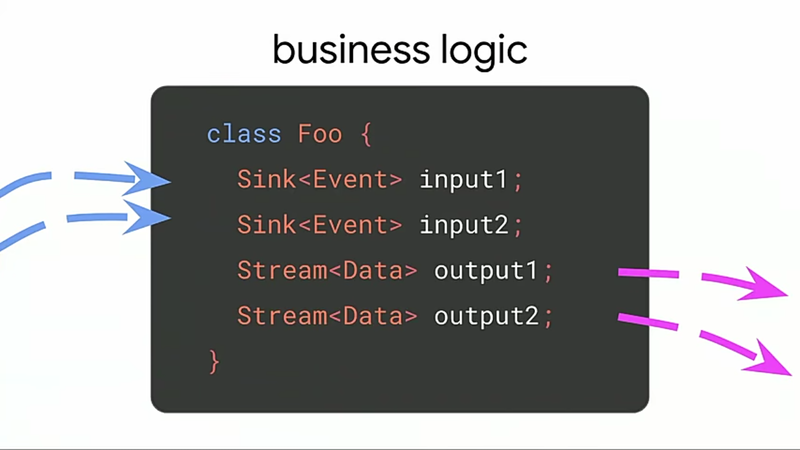 This is the concluding part of my earlier post, Flutter @i/o 2018 . 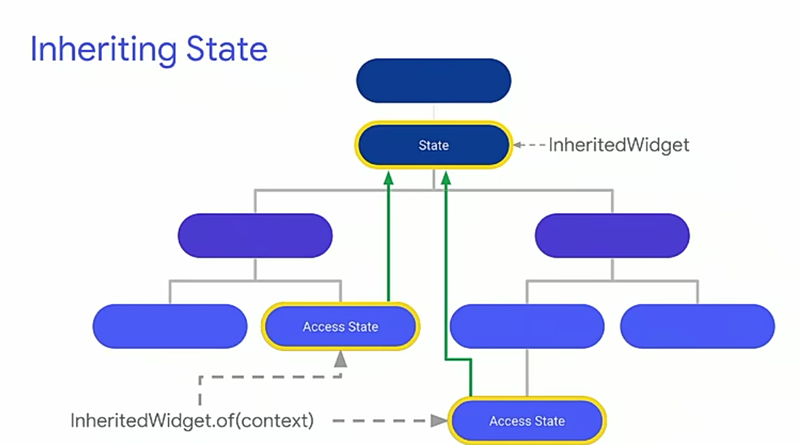 How to access state that is not in the widget we build ? 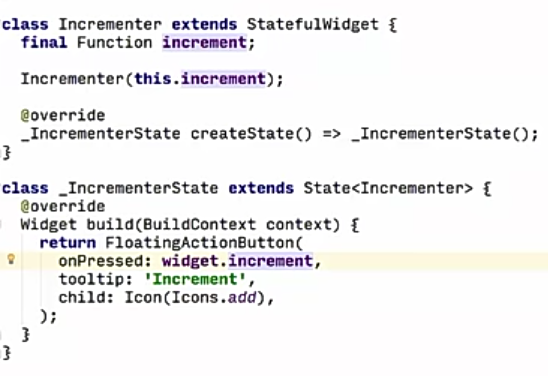 How to notify other widgets for rebuilding? 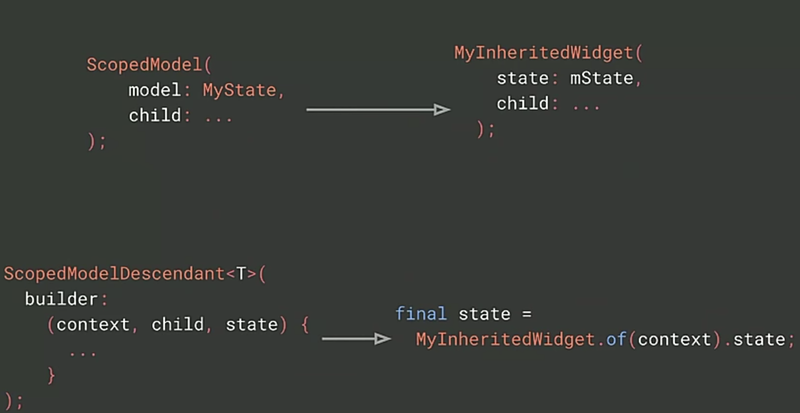 But, as the state is declared final, it becomes little hard (by introducing boiler plates) to mutate state using inherited widgets. 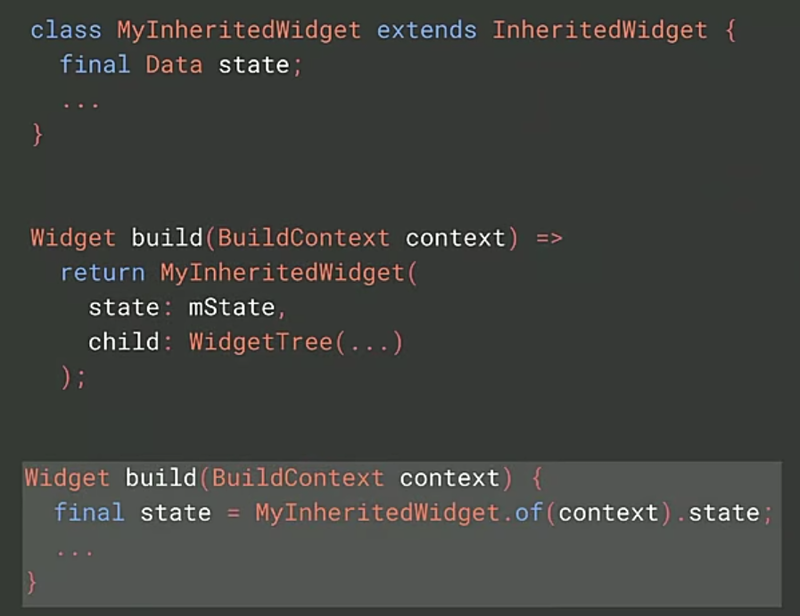 Whenever we have a descendant widget (ScopedModelDescendant), they observe or listen for the state changes and get rebuild. 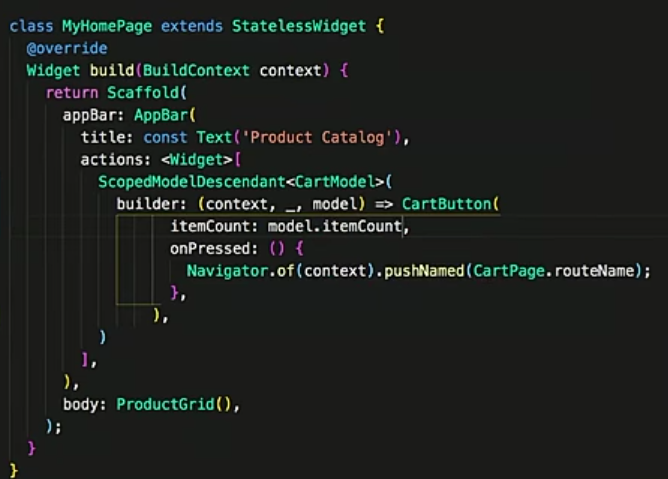 Top-level widget (MaterialApp) is replaced by ScopedModel which takes a model(CartModel) and a child (material app in this case). 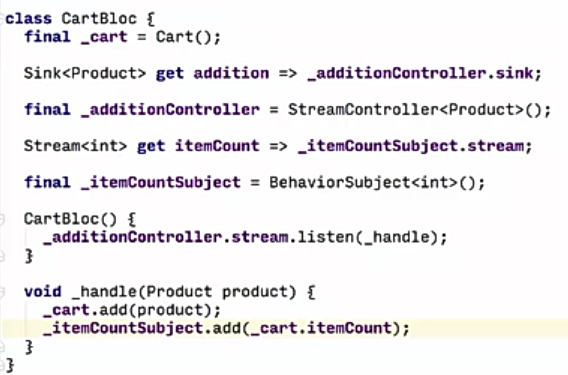 CartButton widget changed to ScopedModelDescendant which takes a builder function. 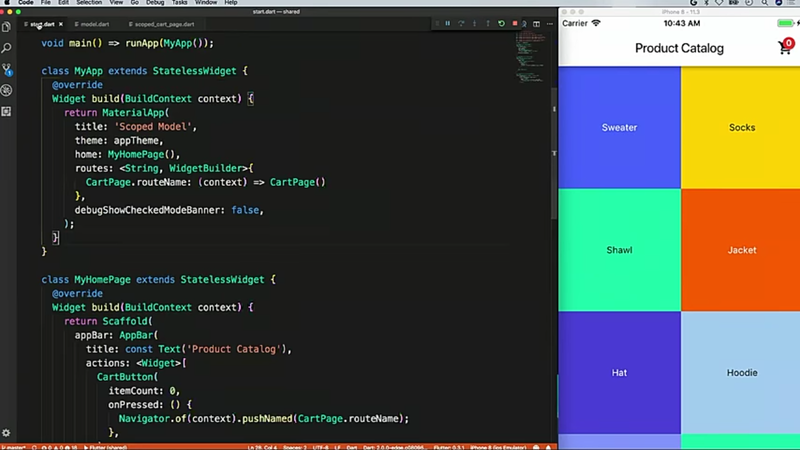 Lastly, dart streams and rx.package were highly recommended by the presenters.